RasterEdge DocImage SDK Barcode Creator Add-on for .NET has two main functions. One function is to help C#.NET developers generate Data Matrix barcode on common image files including png, jpeg/jpg, gif, and bmp. And the other is to insert Data Matrix barcode into C#.NET document processing application. Users can freely embed Data Matrix into various documents including TIFF, PDF, Word, Excel and PowerPoint. Besides, RasterEdge.com also provides other Data Matrix barcoding solutions & tutorials, like how to generate Data Matrix in VB.NET and how to read/scan Data Matrix in C#, for developers to get to know more about our Data Matrix C# & VB.NET generator and decoder. You can easily generator Data Matrix and save it to image files/object using this C#.NET barcode generator control. The following steps will show how to create a Data Matrix type barcode encoding numeric data text "123456789" into the image object with XImage.Barcode.Creator. Please copy the sample code as follow to generator a DataMatrix barcode. You can easily draw industry-standard Data Matrix barcode on png, gif, jpeg and bmp image files using this C#.NET barcode generator control. 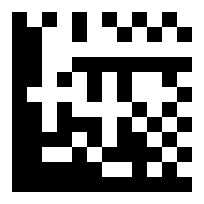 Copy the following C# sample code to your barcode application to create a Data Matrix encoding numeric data text "123456789" onto a sample png image file and then save it to your local disk ("c:/datamatrix.png"). This Barcode Creator Add-on can help .NET developers insert Data Matrix barcode into a certain page of PDF, TIFF, Word, Excel or PPTX document. Besides, with the application of X & Y location, you are also allowed to specify accurate Data Matrix barcode generating area. Here we offer Visual C# example coding to generate Data Matrix on PDF, TIFF, Word, Excel and PowerPoint respectively.